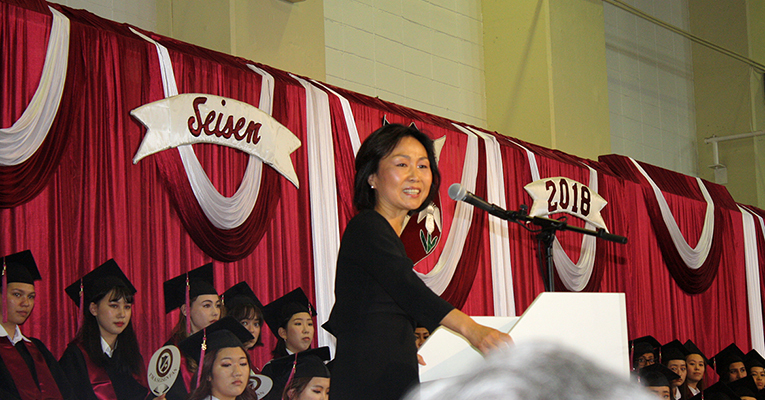 President Woo addresses graduates at Seisen International School on May 27. 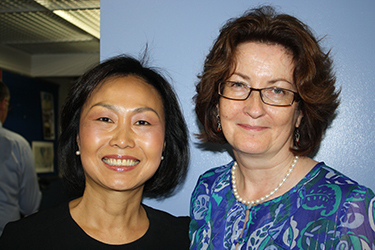 Last month Meredith Woo, president of Sweet Briar College, returned to Seisen International School to deliver the graduation address to the Class of 2018. Woo graduated from Seisen, an international girls’ school in Tokyo, Japan, in 1976 among 13 students in her class. A retired sister in the Handmaid of the Sacred Heart who attended the graduation event on May 27, remembered Woo fondly and distinctly for winning a public speaking contest as a student. In her speech to the 32 graduates from myriad home countries, Woo described the education she received at Seisen as one that emphasized clarity of thinking. “I feel close to you because we share something in common … You know the splendor of being multicultural,” Woo said. “As you go forth, one of the most important questions you will ask yourself is ‘Where do I belong?’ There is a benefit to not being a part of the mainstream while understanding what mainstream is,” she offered. After graduating from Seisen, Woo attended Bowdoin College in Maine as an international student. She earned her master’s and doctorate degrees at Columbia University. Her educational experiences — as a student at an all-girls’ high school and during her career as a professor and administrator in higher education — came full circle when she was named president of Sweet Briar College, a women’s college in Virginia, in May 2017, and one year later was asked to give the graduation address at her alma mater. Sponsored by the Handmaids of the Sacred Heart of Jesus, Seisen is an international Catholic school that welcomes students from many ethnic groups, cultures and religious traditions into a happy, caring and respect-filled atmosphere. Seisen offers an educational program that prepares “today’s students for tomorrow’s world.” The school’s program spans preschool, elementary and high school years, K-12, and focuses on very high academic standards as well as social, physical, aesthetic, cultural and spiritual development. 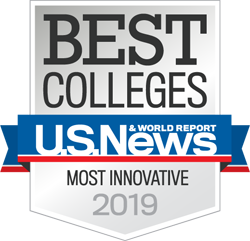 The International Baccalaureate Programme (IB) offers students in High School a Diploma that gives them a university entry credential for colleges worldwide. Seisen is a community made up of faculty, staff, students, parents and alumni, enriched by more than 60 different nationalities, who all work together for the good of every student.